The urban sports festival combines its sporting activity with live music: a Rockzone stage in the water area and Dj’s in the Parks. Next weekend, on June 16 and 17, the imaginExtreme Barcelona will be held in the Parc del Fòrum, where the best riders meet in Barcelona to climb the highest step of the podium. The festival combines action sports with urban culture and this year will have a live music on stage in the water area and Dj’s in the Parks. Throughout Saturday and Sunday, Rockzone will have the music scene in the water area of ​​the Parc del Fòrum. As announced a few days ago Jordi Wild, known on Youtube as El Rincón de Giorgio, will be present at this space during the weekend. All attendees can see it live and also get their official merchandise in the store that will be located next to the stage. 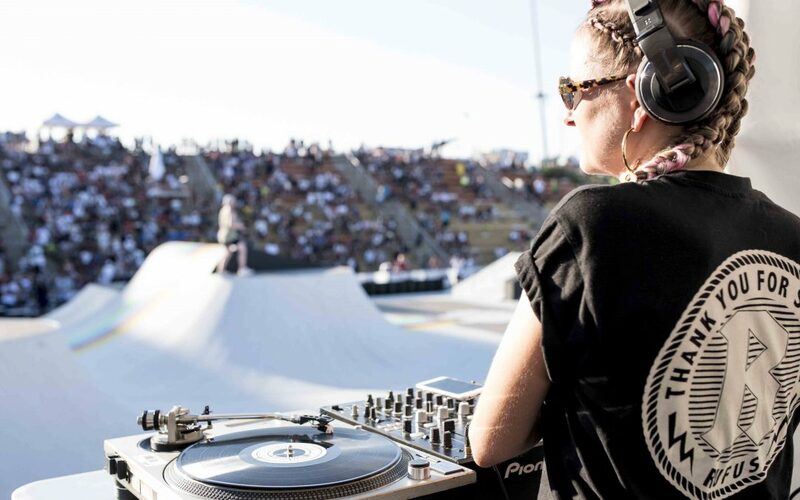 In addition, there will be live music during all competitions where different Dj’s will encourage the riders and the public in Street Park, Central Park and Dirt jump. And if all this was not enough, on Saturday, once the competition is over, you will still have more options to continue the party. With the COMBO entry you will have access to the OFF AT FORUM, one of the most popular electronic music festivals in Europe. The AFTERLIFE festival will start at 8pm with the Italians “Tale Of Us”. Karm and Mateo return to the city where they started 6 years ago. The repertoire of electronic music is completed by Kink (live), Maceo Plex, Mano Le Tough, Recondite (live), Patrice Baümel, Mind Against, Rødhåd, Stephan Bodzin (live), Tijana T, Marcel Dettmann and Woo York (live). Do not miss your entry! Buy it now and enjoy the frenetic activity of the imaginExtreme Barcelona 2018.